Whether you’re buying your PC for getting into the latest games, home office use, or using it for professional photography or video editing, you want it to be the best specification for you. 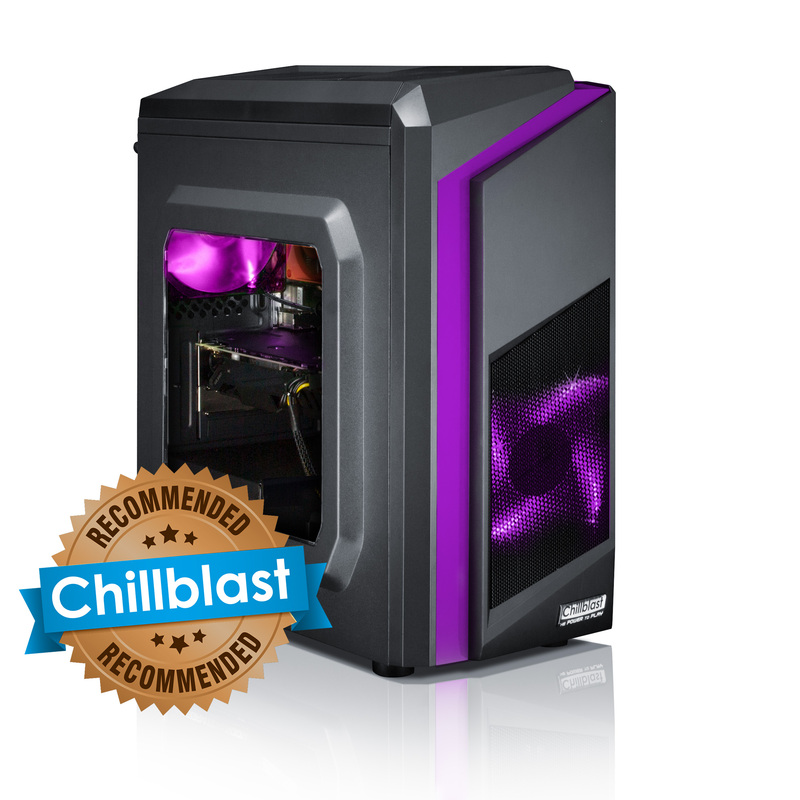 While we’re happy to talk you through a custom built system, at Chillblast we understand that shopping for a PC shouldn’t have to mean Googling every single graphics card or motherboard to see what’s best for your needs or even what it actually is. 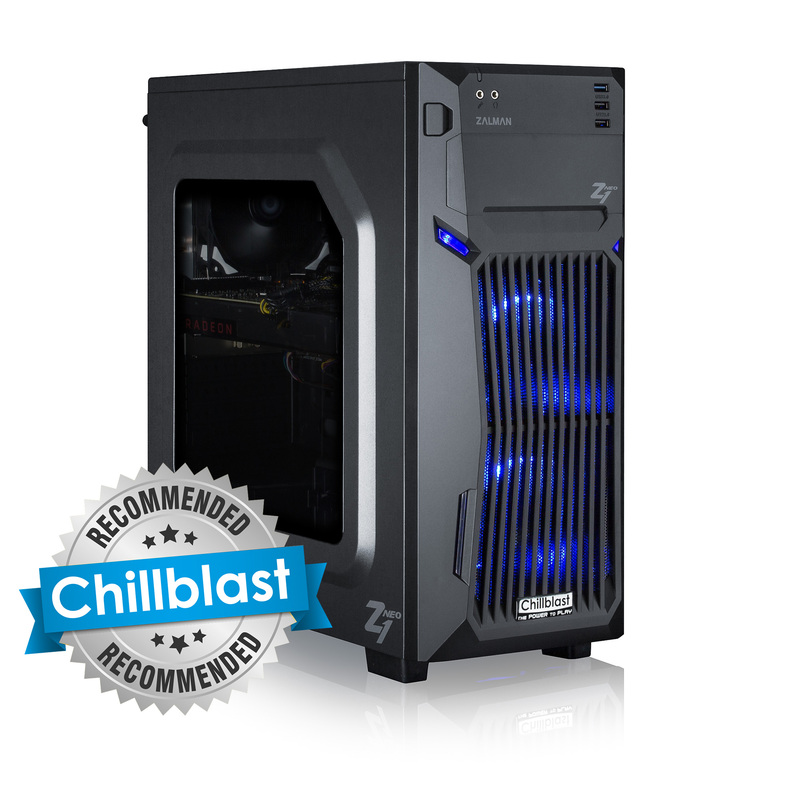 With this in mind, we’ve created the Recommended Range; a set of preconfigured and affordable next day PCs, with the latest components that means you can choose a desktop with the performance and budget you want without any of the hard work. 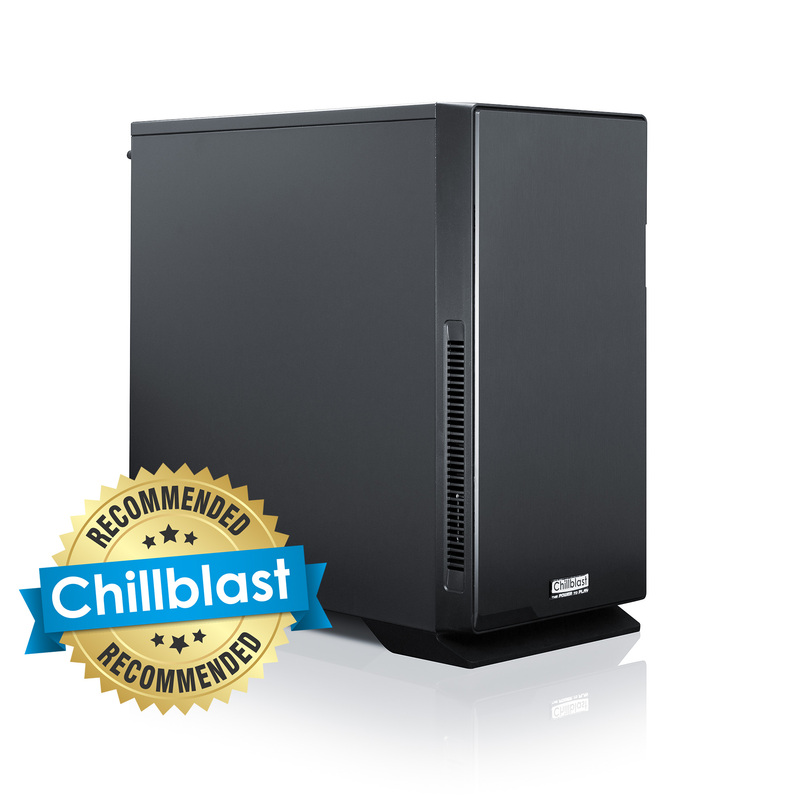 Plus, as with all Chillblast PCs, the Recommended Range comes with a 5 year warranty* as standard. Pre-built and ready to go, here’s the new range. There’s seas of gaming PCs out there but with prices soaring into thousands of pounds, where’s the best place to start? The good news is that thanks to leaps in graphics card technology, you don’t have to break the bank to break into best in class PC gaming. The Fusion GTX 1050 uses an Nvidia GeForce graphics card that far exceeds performance levels in current generation consoles. This means you can play the latest online shooters such as Overwatch or get your League of Legends on at an easy 60fps and not have to worry about dropping a frame, only your guard. Plus, if you want to up your game later down the line, both the power supply and case have been selected for easy upgrades in the future. As a tool for all the family, a multipurpose PC has the hardest job on this list. It’s the one that needs to meet and juggle everyone’s needs at the same time. Sound familiar? The Fusion Core i5 is more than up to the task. Multiple users, Microsoft Office work, casual photo editing, and the part of the family who wants to spend all their time in the blocky world of Minecraft, are all easily catered for with a powerful i5 processor and excellent graphics card. Add in a 250GB solid state drive for the operating system and your favourite applications, and you can say goodbye to loading times. The Fusion Core i5 also comes with a wireless card so there’s no need to worry about finding a location close to the router. 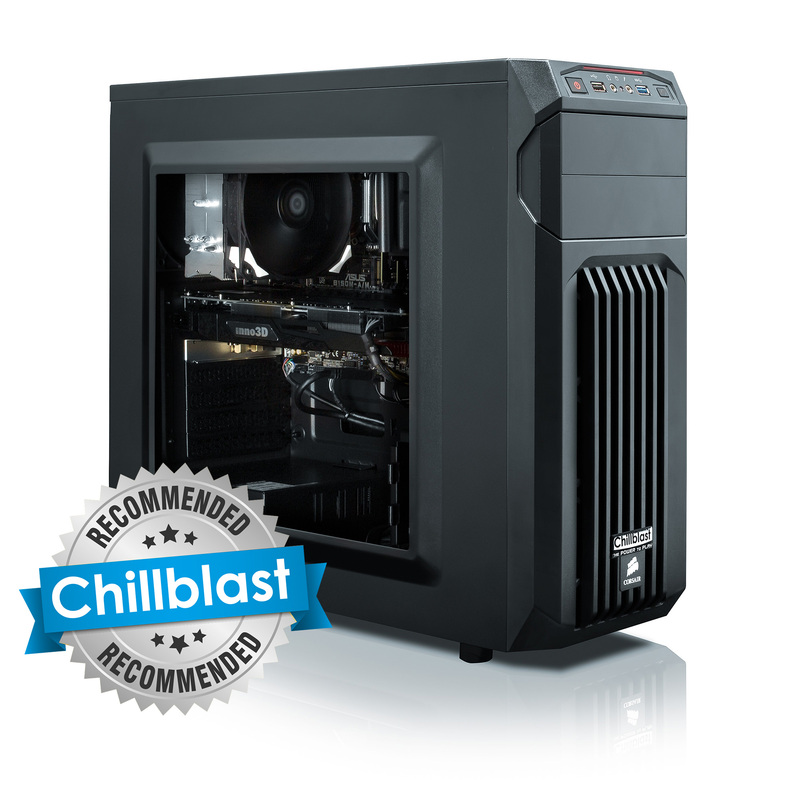 Want exceptional PC gaming that’s ready for virtual reality without spending an arm and leg? The Fusion RX 580’s Radeon graphics card is prepared for both Oculus Rift and the HTC Vive, and will let you crank games such as The Witcher 3 and the latest Hitman into high settings for eye-wateringly crisp visuals. The power on offer here also means you’ll have no problem capturing or streaming your gaming footage and 8GB of RAM means editing should be a breeze too. Plus, there’s plenty of room for files with a 1TB hard drive on top of the ultra fast 250GB solid state drive for speedy loading of the operating system. A wireless card also comes as standard so you’re ready to get your game on straight out of the box. Now where’s that HTC Vive…? Here’s where the serious gaming starts. If you want the latest triple A games running on ultra settings, Nvidia’s updated series of graphics cards is the only choice. With a GeForce 1060 6GB graphics card, this machine will deliver exceptional visual quality but that’s not all. The i5 Skylake processor and 16GB of RAM means you can throw as much editing work at it as you’d like and you still won’t slow it down. A 250GB solid state drive on top of a massive 2TB hard disk drive means loading times will be a thing of the past too. Perfect for editing your latest gaming capture and fully ready for virtual reality, the 1060 is a workhorse of a PC with massive storage and ultra competitive pricepoint. There are gaming PCs and then there are leviathans that will let you play the most demanding of games like Fallout 4 on ultra settings on 4K screens. The Fusion GTX 1080 falls comfortably into the latter category. Inside the Corsair Carbide case lies Nvidia’s GTX 1080 graphics card that means eye-burning visuals on all the latest releases, not to mention this year’s big titles. Battlefield 1, Call of Duty: Infinite Warfare and Titanfall 2 won’t know what’s hit them later this year. This future proof beast also delivers best in class video editing for YouTube users. 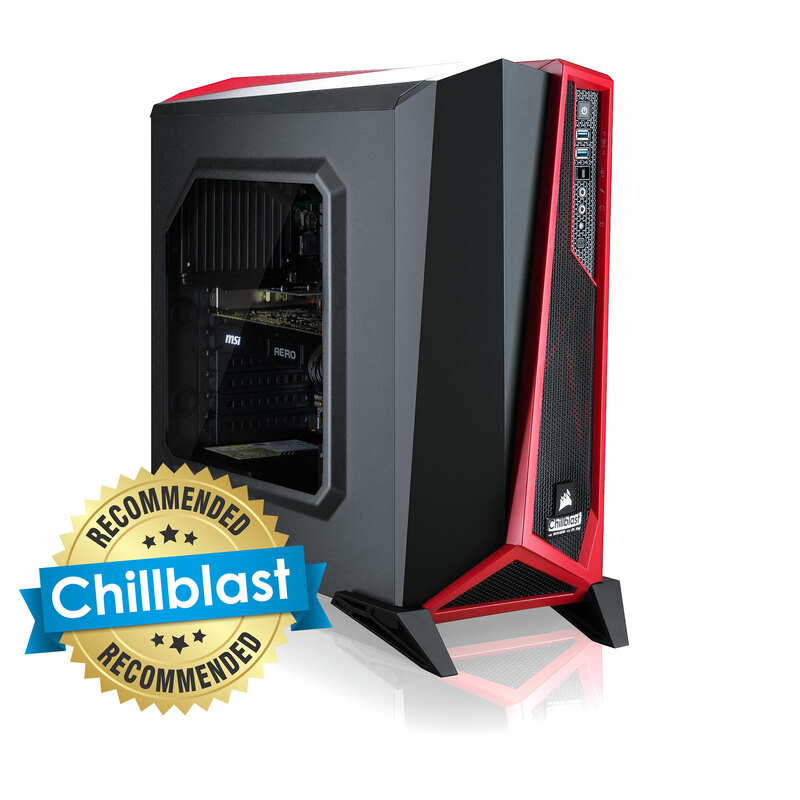 With everything you need straight out of the box, this is Chillblast’s ultimate next day gaming delivery. Plug in for gaming greatness. As the builder of the fastest professional workstation in the world, we understand what you need in a video and photo editing PC: power. The Fusion Core i7 has no shortage of that and is built to make sure you have everything you need for exceptional performance in the Adobe Creative Suite and other editing programs. This isn’t just about the Extreme Edition processor or GeForce graphics card though, a lightning fast solid state drive means far less loading and it’s all backed up by a huge 4TB hard drive for photo and video storage. Whether you’re editing high resolution images or rendering video, this is a workstation that delivers everything you need. And yes, it can arrive tomorrow. *Standard warranty applies to UK customers only, terms and conditions apply.